Facebook's first Crypto Acquisition / Chinese New Year Giveaway!! Facebook makes a secret blockchain startup acquisition - Chainspace. Chainspace specializes in smart contract platforms and blockchain development - and 4/5 whitepaper authors were hired directly by Facebook. Happy Chinese New Year!! In a special giveaway event with Enjin - we're giving away New Year collectible cards collectible cards. Thanks for the opportunity to try the Enjin wallet! Hopefully, I will get a chance to use the QR Code! thx for the info. Facebook stocks seem to have recovered. Thanks for the update! Happy Chinese New Year Michael! This is important news, this news can increase confidence in people who are still afraid to enter the world of blockchain. 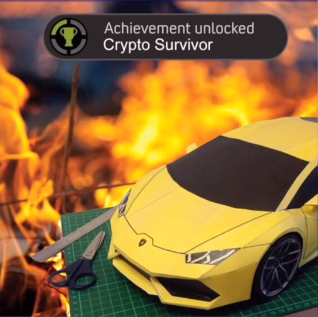 Crypto Survivor ha ha. I guess with my kind of luck in crypto I can't even have a picture of lambo in my wallet not to mention the real thing ;) I got the 5enj red packet, but it is nice too. Thanks.